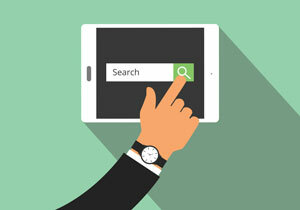 What you need to know about SEO – Part 2: How search engines produce results - A Digital Marketing Agency | IIAS - International Internet Advertising Services Inc.
Google is the most popular search engine out there and they offer great resources for developers and marketers, so we’re going to use Google as our search engine example. Google uses a three step process to figure out what your website is all about, how to categorize it, and how to match it. Google has an army of computers that visit every page on the internet on a regular basis. They call this “crawling” the web. By comparing what they (the computers) found the last time they completed a round a visits to their current round, they know which pages are new, which have disappeared, and which have changed. The words found by the crawlers are then “indexed” by page address and location on the page. When a user types a word or phrase, the Google computers look at all of the content in the index, and using more than 200 factors, determines which pages are the most relevant and valuable to the user. The exact nature of those factors and how they weight in the calculations are known only to Google. What we do know, and what Google stresses to web developers and site owners, is that what they care about most is providing authentic, helpful information to site visitors.